IMCDb.org: 1961 Chevrolet C-60 Viking in "Route 66, 1960-1964"
- 1961 front face, not 1962. 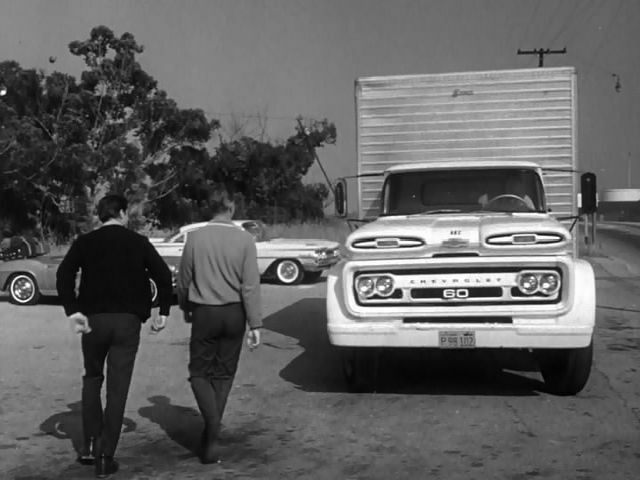 - 1961 model year trucks were the last ones with the "Apache", "Viking" and "Spartan" names. - C-50 and C-60 were "Viking" medium-duty trucks, while "Spartan" was the name for C-70 to C-90 heavy-duty models. - Like the 1960-61 Apache and the Spartan trucks, Viking models of these 2 years belong to the 1st generation of C/K-Series. ⇒ 1961 Chevrolet C-60 Viking.